MetLife fought the too-big-to-fail designation and won. So did AIG. Now Prudential is off the hook, too. Some background. As part of 2010’s Wall Street Reforming Dodd-Frank Act, all large banks were automatically given the Systemically Important Financial Institution (SIFI) designation. It’s also called too-big-to-fail. That means their failure could be very destructive to the U.S. economy so they are now subject to more regulation and increased financial scrutiny. Other financial institutions are targeted in Dodd-Frank as well. Among the targets are insurance companies. AIG automatically — and rightfully — received the designation. So did MetLife and Prudential. MetLife fought the designation in court and won. As noted at the beginning of this story, the Financial Stability Oversight Council (FSOC), headed by Treasury Secretary Steven Mnuchin, dropped AIG’s designation and now has dropped Prudential’s. Prudential — who almost fought the designation when it was first given but decided against taking action — is happy to lose the SIFI moniker. The National Association of Insurance Commissioners (NAIC) has fought the FSOC and the SIFI designations for insurers behind the scenes. The association — and other insurance groups and individual insurance commissioners — has said all along that the state regulations insurance companies are under is sufficient to monitor what they are doing financially. Not everyone is happy with the FSOC decision. Gregg Gelzinis of the Center for American Progress said the decision makes no sense. He contends Prudential’s financial footprint is larger today than it was when the company received the SIFI designation. “Under Secretary Mnuchin’s watch, the number of nonbank financial companies facing enhanced scrutiny has dwindled to zero. If another such company triggers or aggravates the next financial crisis, decisions such as this will be to blame,” he said. Last. The other non-bank SIFI designation was given to GE Capital. The company did some restructuring and its SIFI label was removed in 2016. A year or so ago U.S. District Judge Rosemary Collyer said MetLife is not too-big-to-fail and that the Financial Stability Oversight Council (FSOC) was wrong in giving it the significantly important financial institution (SIFI) designation. The Obama administration run Justice Department filed an appeal. In the meantime, the Justice Department under Jeff Sessions has asked the judges on the appeals court for a 60-day delay on the case. That has been granted. By the way, during all this legal wrangling, MetLife does not have to wear the SIFI label. For MetLife 2016 has been an up and down year. It managed to get a judge to say MetLife was unfairly put on the Financial Stability Oversight Council’s (FSOC) too-big-to-fail list along with AIG and Prudential. The U.S. Treasury — that oversees the FSOC — is appealing the decision but for now, it’s a victory of sorts. The rest of the year — especially the third quarter — hasn’t been so easy. 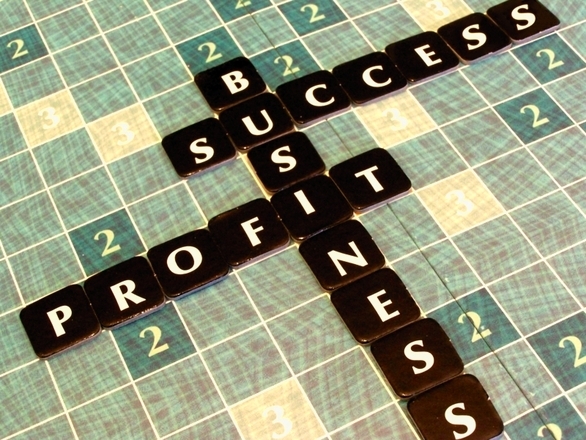 Profits dropped in the third quarter by 52%. Net income fell to $571 million from $1.2 billion in the third quarter of 2015. Derivative losses and the costs tied to spinning off its U.S. retail business — Brighthouse Financial — is said to be the reason. Or so says MetLife CEO Steve Kandarian who emphasized that reorganization is the culprit. He said MetLife is dealing with heightened regulations and low interest rates both of which have a huge impact on investment income and the bottom line. “MetLife had a solid third quarter of 2016 on an operating basis, driven primarily by improved market conditions and strong expense discipline. We continue to focus on long-term shareholder value by generating more predictable and higher free cash flow,” Kandarian said. The Brighthouse spinoff caused operating earnings to fall $254 million in the quarter. Net derivative losses due to equity market swings, interest rates and foreign currencies were $683 million. Brighthouse also didn’t have such a bright quarter and saw operating earnings fall an astounding 80% to $68 million. AIG had a decent third quarter but it didn’t meet the expectations of Wall Street and thus stock prices fell. 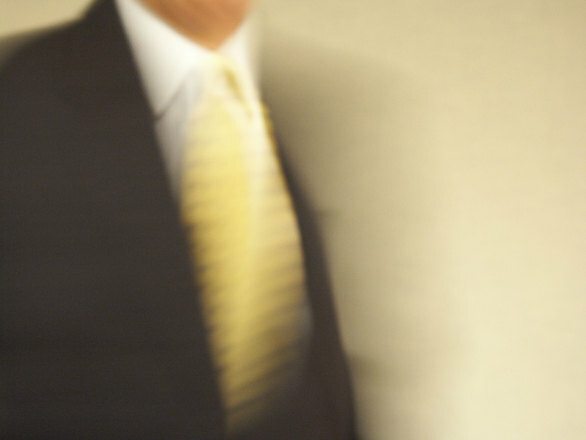 The company posted net income of $462 million — or 42 cents a share — in the third quarter. A year ago it lost $231 million and earned 18 cents a share. CEO Peter Hancock continues his push to help the company come back after three straight quarterly losses by selling assets and laying off employees. His plan is to return at least $25 million to investors in the next couple of years. AIG’s third quarter results included capital losses of $500 million. It’s blamed on fluctuations in foreign currency because of the U.K. leaving the European Union. The Financial Stability Oversight Council (FSOC) said it would appeal the decision of U.S. District Judge Rosemary Collyer that MetLife did not deserve its too big to fail designation. Mark Stern is the council’s attorney and he began the government’s defense by saying Judge Collyer’s decision that the designation was “fatally flawed” is — in itself — flawed. He told the three appeals court judges — Obama appointees Sri Srinivasan and Patricia Millett and A. Raymond Randolph who was appointed by President George H. W. Bush — the government followed the proper protocols in making the designation. MetLife attorneys — as the case continues — will argue otherwise and will continue to maintain the FSOC didn’t get it right. Expect a decision before the first of the year. To a person most of us think Charles Schultz’s Snoopy is about as cute as a cartoon character can be. 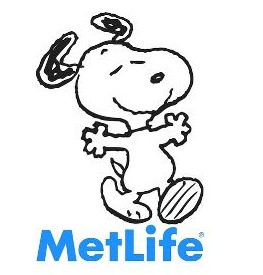 MetLife thought so 30-years ago when it cut a deal with the late cartoonist to use the famed dog as its mascot and to use Snoopy and other Peanuts characters in its advertising. Last week the unthinkable happened. MetLife has a new slogan — MetLife. Navigating Life Together — and Schultz’s pet pooch doesn’t fit the new marketing mindset. The company has replaced Snoopy with a big green and blue letter M.
MetLife CEO Steve Kandarian said this has been in the works a long time. Focus in the marketing future will be group benefits like dental and disability. And in that focus, MetLife has spun off its retail business. It’s now called Brighthouse Financial. MetLife is going to be cutting jobs. Central bank policies have strangled MetLife’s bond-dominated portfolio. It’s valued at $500 billion or more. Second quarter profits of a variable-annuity business — that the company is trying to exit — fell 90% to $110 million. The exit is part of its move to unwind its retail operation. MetLife CEO Steve Kandarian says the squeeze is forcing the company to reduce annual costs by $1 billion or more by the end of 2019. That means job cuts for a company that had 69,000 employees in December of last year. “In light of the significant headwinds our industry is facing, MetLife must do even more to avoid simply running in place. We know this will require us to reduce headcount, which is never an easy step for an organization to take. Our overall goal is to be more efficient, so that we can better serve our customers and provide a fair return to shareholders,” Kandarian said. As part of the cost-cutting process MetLife inked a deal with Computer Sciences Corporation to administer 7 million policies. Computer Sciences will provide a call center and information technology support. It will also offer jobs to 1,000 people currently working for MetLife in the United States and in India. The company has been moving its retail operation to a new — and separate from MetLife — unit called Brighthouse Financial. At the same time, it was going to do share buybacks but that has been halted with no plan to resume. “Our first order of business is to work on the separation and make sure we have a clear understanding about capitalization of Brighthouse, the form of the separation. Once we get through that, we’ll focus on the issue of how we’ll use any remaining excess capital. We’re not at that point yet where we can really speak to when share repurchases may begin,” Kandarian said. The Financial Stability Oversight Council (FSOC) is charged with making sure the nation’s financial institutions cannot cause the total collapse of the U.S. economy. All of the nation’s banks have been designated as systemically significant (SIFI) and have been given regulations on capital and things they can and cannot do. Three insurance companies received the designation: MetLife, Prudential and AIG. In March U.S. District Judge Rosemary Collier said the FSOC overstepped when it declared MetLife too-big-to-fail. She noted the FSOC was “profoundly mistaken” in how it interpreted the regulations set up by Dodd-Frank. MetLife said it will respond to the appeal by the August 15th deadline. Meanwhile, former Senator Chris Dodd and Representative Barney Frank — who wrote the Dodd-Frank Act that created the FSOC — and 18 other Democrats including House Minority Leader Nancy Pelosi have joined the government in the appeal. MetLife — as expected — disagrees. And so did the judge. To counter the accusation that MetLife will be left without adequate supervision, the company — and others in the industry — note state regulators provide adequate supervision. A couple of weeks ago a U.S. District Court Judge Rosemary Collyer said MetLife is not too big to fail. And with that she decided the company ought not be designated systemically important and a threat to the nation’s economy if it fails. That MetLife is systemically important was the conclusion of the Treasury Department’s Financial Stability Oversight Council. But Judge Collyer said the FSOC overreached and didn’t fairly judge MetLife. 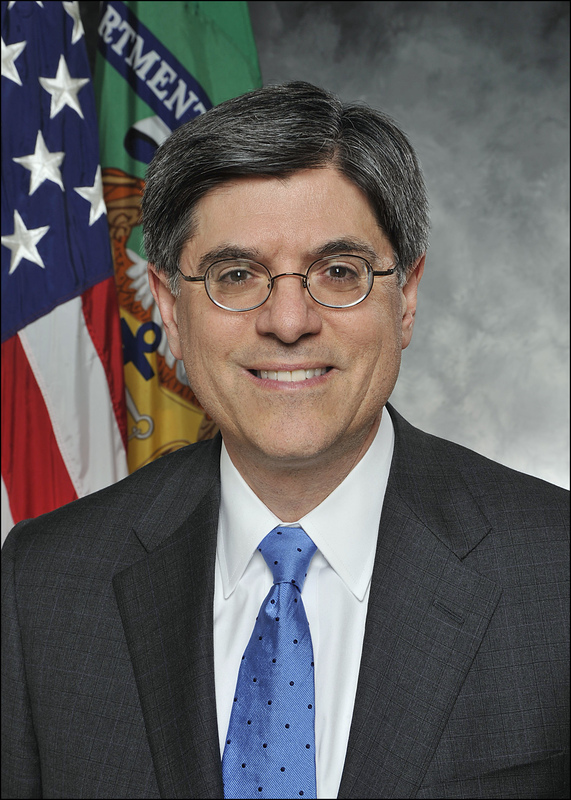 Meanwhile, Treasury Secretary Jack Lew — who chairs the FSOC — said the federal government will appeal the decision. All of this has Congress concerned. The FSOC was developed by the financial reforming Dodd-Frank Act in response to bank failures and the near collapse of AIG that experts said would have wiped out the world’s financial system. 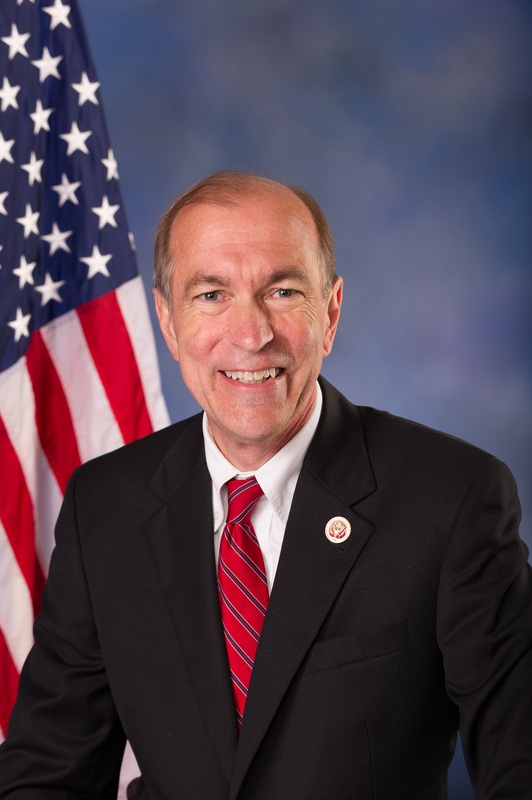 New Jersey Republican Scott Garrett heads the House Financial Service Committee’s subcommittee on capital markets. He has asked Lew how the government is going to apply the regulatory standards of Dodd-Frank to insurers after the judge’s decision. The two other insurers receiving the designation are AIG and Prudential and both are now considering their own court challenges. Garrett wants to Lew to send him documents explaining how the FSOC arrives at its conclusions as to who is a threat to the nation’s entire financial system. The judge — by the way — criticized the FSOC for being too secretive. The congressman wants assurance that the U.S. can fulfill its promises to other nations that it has its financial house in order. He also wants to know if Lew is going to apply the stricter international standards to the insurers designated as too big to fail. He — apparently — agrees with the insurance industry that the FSOC has overstepped its reach and that the U.S. insurers ought not be subjected to European regulations. MetLife has won its battle over being designated too-big-to-fail by the Dodd-Frank Act’s Financial Stability Oversight Council (FSOC). Too-big-to-fail actually has a name. It is SIFI or a systemically important financial institution. Whether the battle is over depends on what the U.S. Treasury — who oversees the FSOC — wants to do next. The government has 60 days to appeal. The designation was given in December of 2014. Before MetLife the other two insurers given the designation are AIG and Prudential. So far the lone non-insurer with the designation is GE. MetLife is the lone insurer — and in the case of GE, non-insurer — to battle the label and filed its suit a year ago. Company CEO Steve Kandarian argued that the designation by the FSOC is arbitrary and unjustified and said it put his company at a “significant competitive disadvantage.” U.S. District Judge Rosemary Collyer — who sealed the reasons for her decision — apparently agreed and last week issued the historic ruling. At the announcement MetLife’s stock price shot up. Eugene Scalia defended MetLife. He’s the son of late Supreme Court Justice Antonin Scalia. During the court proceedings in February, Scalia said the methods used to arrive at the SIFI designation violate federal administrative procedure law and MetLife’s right to due process. Judge Collyer pushed Justice Department attorney Eric Beckenhauer about that. She noted the government called for a vulnerability analysis of MetLife before making the designation and then didn’t do one. MetLife’s Kandarian and other officials have made some comments, and say some of the spinoffs begun by the company will continue. Other than that, not much has been said by MetLife. The decision — however — may have implications for the other designees. Neither AIG, Prudential or GE really responded to comment, but AIG CEO Peter Hancock — while still saying he’s comfortable with oversight by the Federal Reserve — did say he’s keeping options open. Last week MetLife’s challenge to the Financial Stability Oversight Council’s (FSOC) designation that it is a systemically important financial institution (SIFI) finally hit a court room. The court challenge is the first by now four non-bank companies given that designation via the 2010 Dodd-Frank financial reforming act. The firm’s appeal is being heard by U.S. District Judge Rosemary Collyer. MetLife has contended — as did Prudential — that it is no threat to the nation’s economy if it encounters the type of financial difficulties that hit AIG and helped set off the Great Recession. The company has maintained the designation by the FSOC and Treasury Secretary Jack Lew — who heads the FSOC — is unjustified and arbitrary. As you know the designation comes with onerous capital requirements. In court last week the government asked Judge Collyer to throw out the lawsuit. In response she asked Justice Department lawyer Eric Beckenhauer to explain why the FSOC thinks MetLife would bring the U.S. economy to the brink of collapse if it encountered a financial crisis. “That’s not risk analysis. That’s assuming the worst of the worst of the worst,” she said. Beckenhauer said it’s the job of the FSOC to anticipate such matters and said MetLife — in the opinion of the nine major financial regulators on the committee — is a danger. MetLife lawyer Eugene Scalia — who is the son of the now late Supreme Court Justice Antonin Scalia — defended and told the judge that A) MetLife is not a financial institution and B) the FSOC set a very low bar as to who poses a threat to the U.S. economy. His client — Scalia contends — does not. Scalia also sharply criticized the FSOC for its secrecy and told the court the FSOC violated the federal government’s administrative procedure law and by making the decision based on “unsubstantiated speculation” that violated MetLife’s right to due process. No matter how the judge rules experts say the losing side will appeal. All major banks have been designated — via Dodd-Frank’s rules — as systemically important financial institutions. Just four non-banks have received the designation. They are MetLife, Prudential, AIG and General Electric.